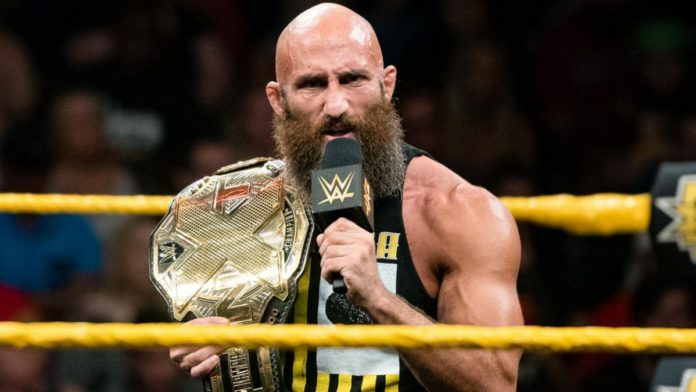 Current NXT Champion Tommaso Ciampa gave an update to fans after undergoing successful neck surgery last week. He took to Twitter and posted a picture of himself holding his NXT Championship with a neck brace. “Goldy and I are on the #WWEFastlane to recovery,” Ciampa wrote. Goldy and I are on the #WWEFastlane to recovery. Ciampa underwent successful anterior cervical fusion surgery on March 7 in Birmingham, Alabama. The usual recovery time from such surgeries is around three to six months. The statement from Tommaso gives hope that the champ will be back in no time. Ciampa and Johnny Gargano were put on a program in the main roster with the current Raw Tag Team Champions The Revival, and their ongoing feud with each other was not mentioned at all. As for the NXT Championship, there is no word yet on when the title will be vacated. Gargano was set to face Ciampa for the title at the TakeOver: New York event on April 5, but now the main event will have to be changed.